WASHINGTON (Reuters) - The House Intelligence Committee is set to pursue a wide investigation into attempts to influence the 2016 U.S. presidential election, including a look at Donald Trump's financial transactions, the panel's Democratic chairman Adam Schiff said on Wednesday. A day after the Republican president warned Democrats against "ridiculous partisan investigations" in his annual State of the Union address, Schiff said they would not be intimidated. "We're going to do our proper oversight," he told reporters after the intelligence panel's first meeting, which was closed. "Our job involves making sure that the policy of the United States is being driven by the national interest - not by any financial entanglement, financial leverage or other form of compromise," he said told reporters on Wednesday. Trump, asked about Schiff's comments at a White House appearance, retorted: "Under what basis would he do that? He has no basis to do that. He's just a political hack. ... There would be no reason to do that." 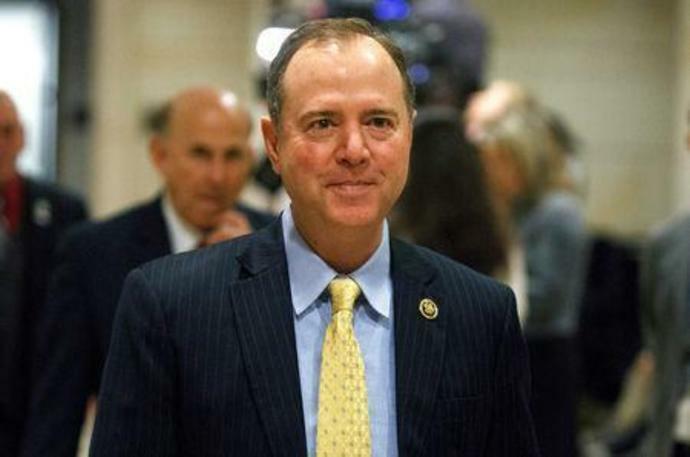 Schiff, who assumed the committee chairmanship after Democrats won control of the House of Representatives in November elections, outlined lines of inquiry it intends to pursue on Russian election activities, possible Trump campaign ties and matters relating to Trump's business dealings. "Congress has a duty to expose foreign interference, hold Russia to account, ensure that U.S. officials - including the President - are serving the national interest and, if not, are held accountable," Schiff said in a statement. Stone is accused of lying to Congress about the 2016 campaign's efforts to use stolen emails to undercut Trump's Democratic rival, Hillary Clinton. He has pleaded not guilty. Trump's longtime self-described "fixer," lawyer Michael Cohen, pleaded guilty to charges including lying to Congress.